Love this! And can’t wait to get Chestnut Street! 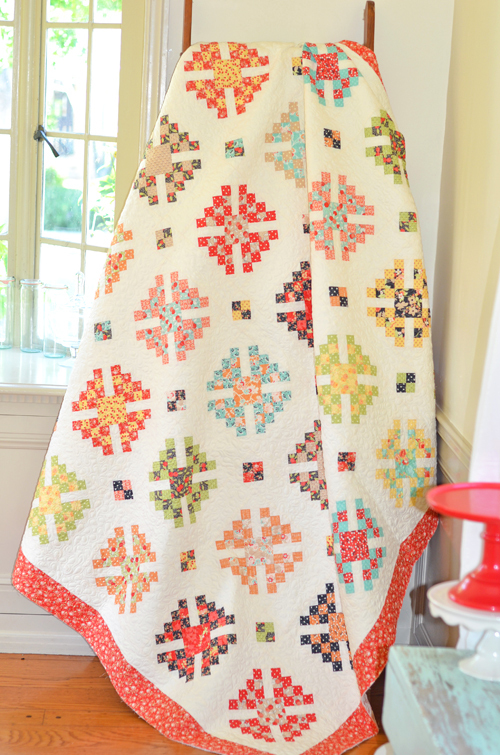 Just gotta tell you – I love all your new patterns and the new line coming out!! Each time you do this, I think this is my favorite, but it changes each season. Looking forward to making these with your fabric line! Thank you for sharing and all your inspiration and hope you are feeling better! Oh my goodness!! 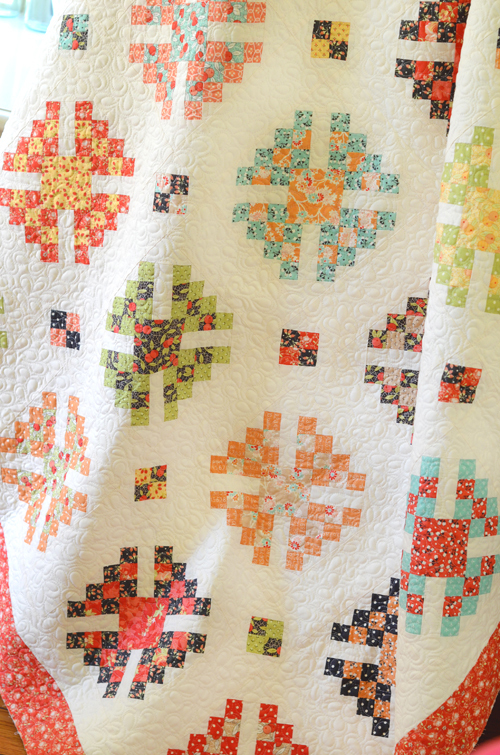 I absolutely love, love, love the look of this quilt. It’s awesome. 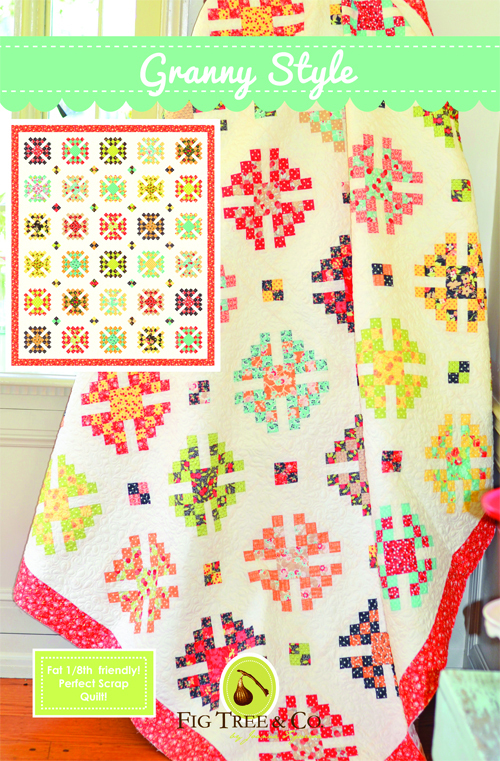 This is a terrific inspiration quilt – would love to bust some of my stash on this, but not sure I can resist your new line! I really love this…reminds me of your log cabin versions but with another twist…can’t wait to try this one!! 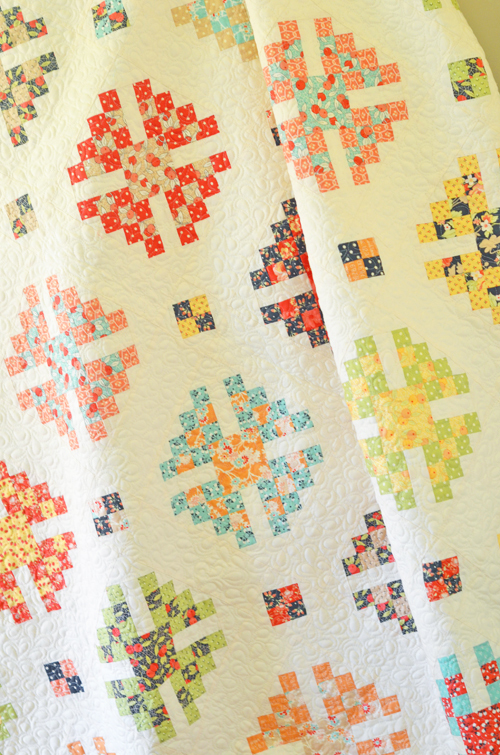 I thought your previous quilt was my favorite but, this one is now my very favorite. If you keep this up, I am going to have to make my “really like”to”very,very favorite” list in erasable ink.